Edelweiss Perennials. 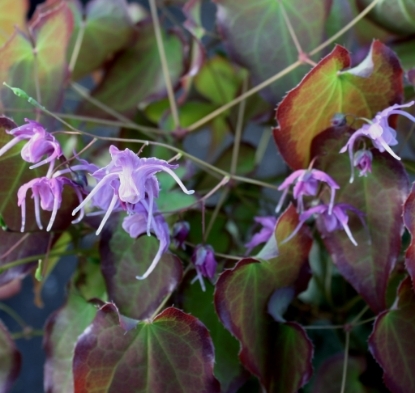 Epimedium wushanense "Spiny-leafed Form"
Aka 'Sandy Claws'. Too much for words is this evergreen knockout. 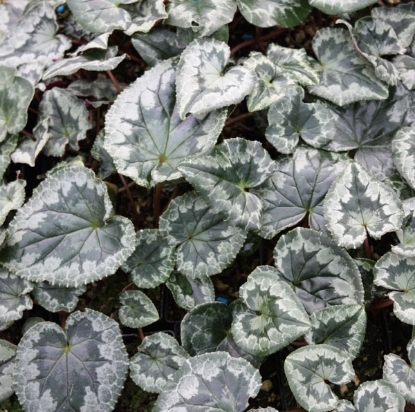 The large, glossy leaves are of heavy substance, up to 6" long and very spiny. 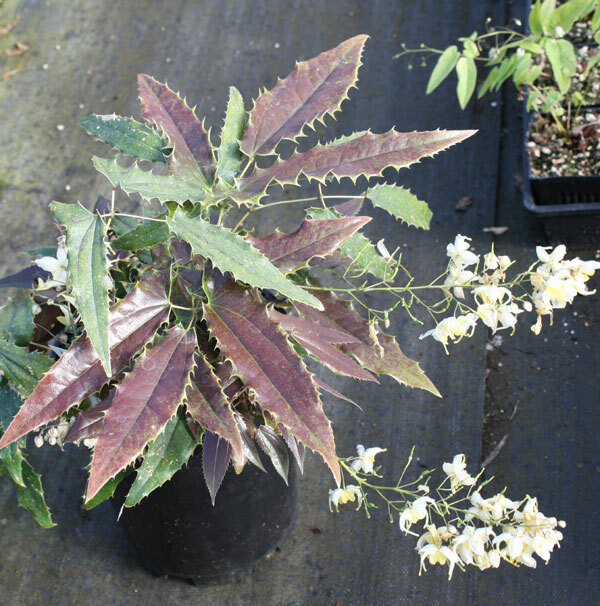 New leaves are bronze to dark purple tinged, adding to the spectacle and creating the perfect backdrop for the soft yellow flowers. 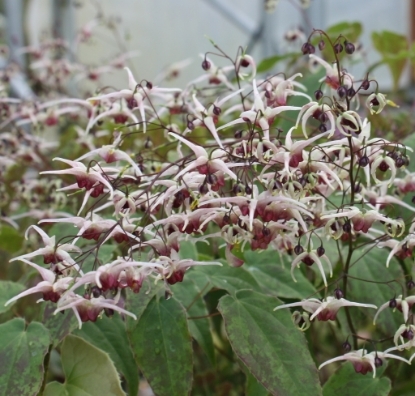 These are borne in denseclusters, which is unusual for Epimedium. 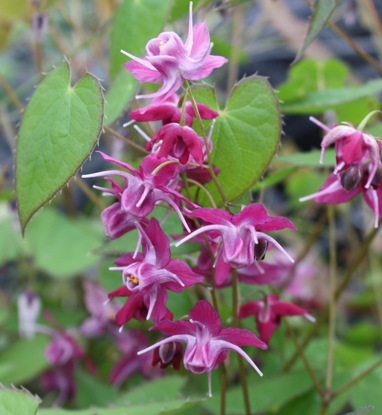 It's a relatively strong grower - according to some literature it is supposed to throw out 4" rhizomes; for us it has been 1-2" so far. Maybe they'll do 4" after several years, and in a rich, moist soil. 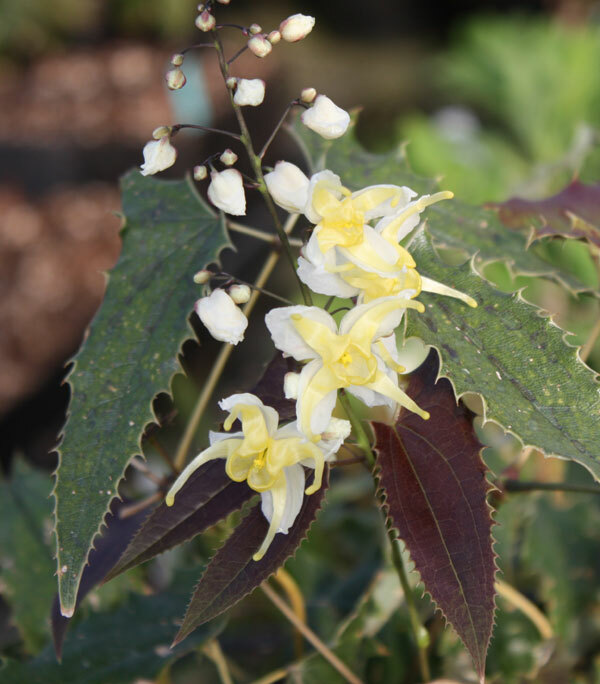 Botanical Name Epimedium wushanense "Spiny-leafed Form"